If given a choice of location on the day after Halloween, the absolute last place I would choose would be in a classroom teaching 30 kids. I give teachers mad props all the time for wrangling that many kids, but the day after a holiday that’s all about candy must just be the absolute edge of controlled chaos. Managing my own sugar-high mini-monsters is always tricky and there’s only two of them. I don’t know how teachers accomplish anything with an entire class of over-hyper rugrats. Lucky them Halloween is on a Friday this year! I always trick-or-treated as a kid and when our feet were too sore to gather even one more mini Butterfinger, we’d head home to divvy up our loot. 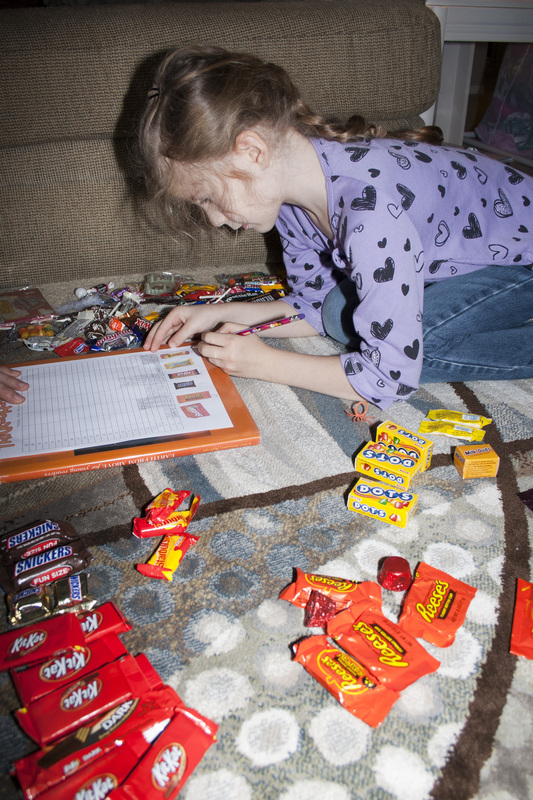 Separating a pillowcase of candy into piles of like items was almost as fun as eating the candy. Last year, I noticed my own kids doing the same thing and decided to turn what they were already doing into a lesson on graphing. A quick internet search turned up this adorable chart from Lasso The Moon. 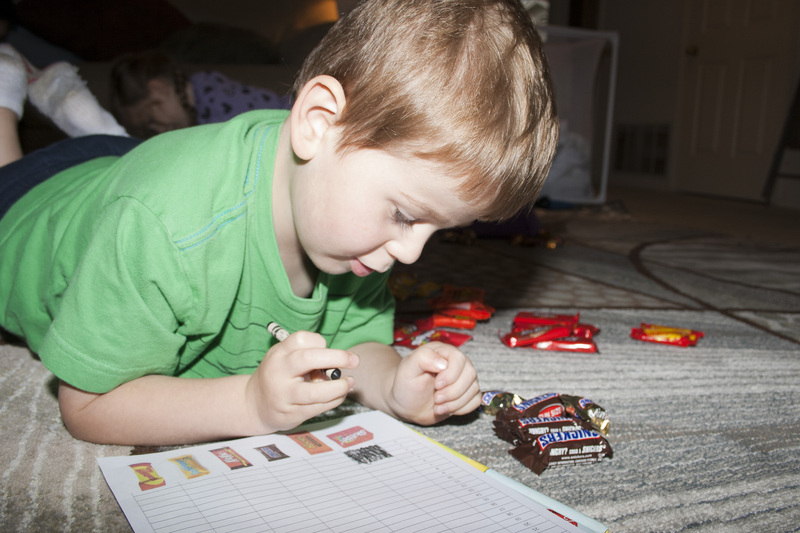 My kids had a splendid time charting their candy. We also let them figure out weighting certain things. Like the mini peanut butter cups were only worth 1/2 a square on their chart. They had a couple full sized candy bars too (when did that become a thing? ), which they gave higher values. For older kids, you could even discuss ratios from this chart. Enjoy and Happy Halloween!